After awhile, our babies almost all had sick little tummies and would hunch over like they were in pain. Quite a few of them spent their time in the “recovery pen”, where we would put the sick ones. They lost weight and God only knows why we didn’t lose any of those first steers we were learning on. We would put herbs, probiotics, and supplements into their formula which is probably the only thing that kept them going. 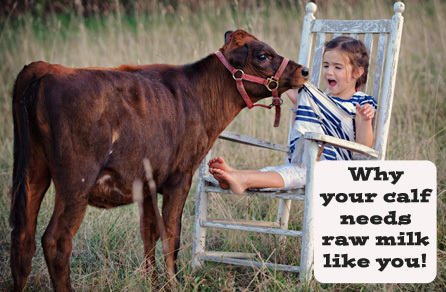 One day we took a look at them and looked at one another and said, “We have to get real food for these babies.” We went to a local farmer and he agreed to sell us milk for the calves. The difference was nothing short of amazing. Their tummies quit hurting and they gained weight. They started wagging their tails when they ate and you could tell they felt well. Since then we have learned how valuable to their longevity and long-term health real food is. 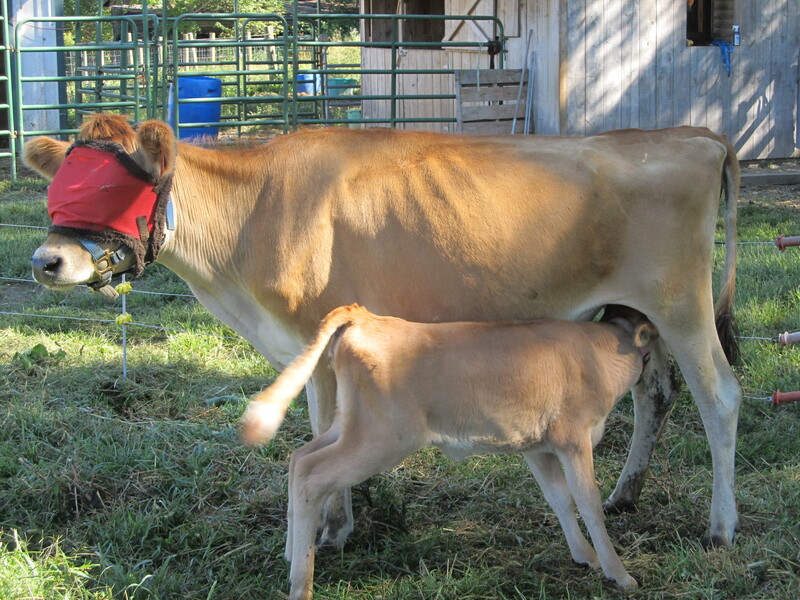 It allows their rumen development to fully and properly mature so that they can digest the cellulose in the forages. We feed our steers 3-5 months, and our heifers 4-6 months for the longevity benefit. We are looking forward to our girls living and producing into their teens. I was amazed to learn the the average number of lactation’s that the dairies get out of their cows is 1 1/2 to 3 at the most. I really did not believe it until I talked to the fourth vet. We feel there are obvious reasons for that including diets high in grains, no fresh forages, the stress of the dairy environment, the lack of feeding natural supplements like kelp and natural trace mineral salts, not being raised on real milk, and not breeding for grazing genetics to mention a few. 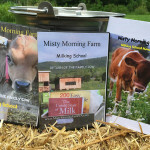 We are changing the trend here at Misty Morning Farm and are so pleased to offer our healthy family milk cows and steers for grass-fed meat.